A few nights ago, I was asked to read a bedtime story to a little girl and her brother. Of course the little boy like most others lost interest after about 10 seconds so it was mainly the girl listening. 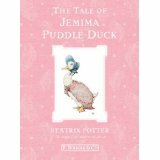 The book she had picked me out to read was the “The Tale of Jemima Puddle-Duck” by Beatrix Potter. During the story floods of memories came rushing back as I thought of my childhood when my mum would read me stories by Beatrix Potter. My favourites were Jemima Puddle-duck, Tom Kitten and Mrs Tiggy-winkle. But ofcourse we like them all really didn’t we? When I got home I decided to look out my collection of Beatrix Potter books and I found myself reading them all right there and then on the spot. I was only snapped out of it when my dad shouted me for tea. 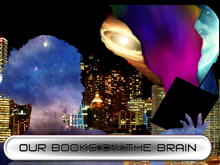 I guess the point I’m trying to make is you are never to old or young to enjoy reading a good story in that you are never to old to pick up a child’s book and start reading. Its good to have all those memories come rushing back. But most of all it was great to see the excitment and enthusiasism in a child’s eyes over a “stupid duck”. And then as you read the words The End to hear a little squeaky voice say again please. Lovely first blog, Sarah. I totally agree, you are never too old to enjoy a picture book. Storytelling in any form is something we all enjoy.